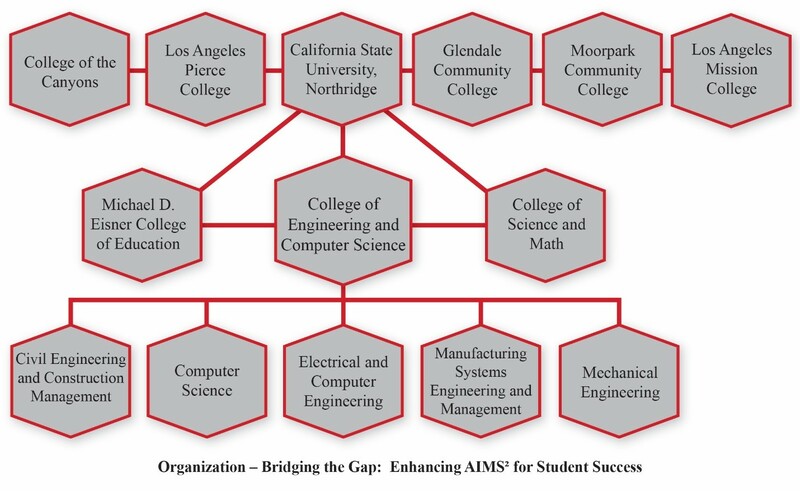 This collaborative project is led by the College of Engineering and Computer Science at California State University, Northridge, in partnership with five community colleges: Glendale Community College (GCC), College of the Canyons (COC), LA Mission College (LAMC), Pierce College, and Moorpark College. All partner institutions are designated Hispanic serving institutions. Dr. S. K. Ramesh from the College of Engineering and Computer Science at CSUN is the Project Director and Lead Principal Investigator of the project. Team meetings are scheduled monthly to identify and resolve challenges and monitor progress to ensure that project objectives are met. In addition lead representatives from the project’s strategic partners, will meet on a quarterly basis with the Management team to ensure collaboration and effective communication. The External Advisory Board meets annually with the project team to review progress and provide feedback and suggestions for improvement. The current members of the External Advisory Board are listed in the table below.